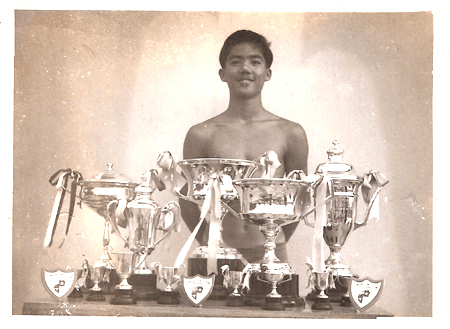 I think the person in the photos named “The lone scout, Morris Oxford, Champion Swimmer” is Dr. Lim Cho Luan who is living in Melbourne currently. He is one or two years senior to SMI1960. Others may be able to confirm. yes, he is my dad, Dr Lim Cho Luan. He has siblings who were also swimmers representing their school S.M.I. Thank you for the information. It almost ties up with the only name among about 45 different photos – LIM CHO LOH. Could this be a brother or a different pronunciation of the same name. Does anyone have Dr Lim Cho Luan’s email please. I do believe that I can identify the person once I get in touch with either the brother LIM CHO TIAU. Is anyone in touch with Adrian Tsen Keng Yam ? I can get in touch with him and he knows Cho Loh when young. Give me a bit of time but I should get that solved. Ian, my hat off to you – what a noble gesture. I am from ACS 1956 – 1968 and I will pass those photos to the older ACS people and perhaps they can throw some light on them. Thnks for the input Victor. 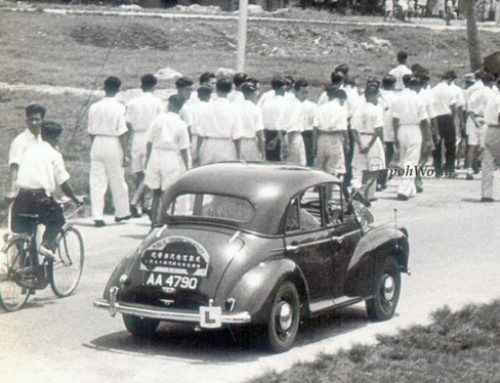 I do hope that by letting other ‘old boys or girls’ from any of Ipoh’s schools we shall get more responses and then be able to put up the photos with some names and dates etc. I look forward to the results of your efforts. I am about to upload a few more photos. Do you have Adrian’s email address? I’ll inform him about you blog, if it is not done by Robert already.